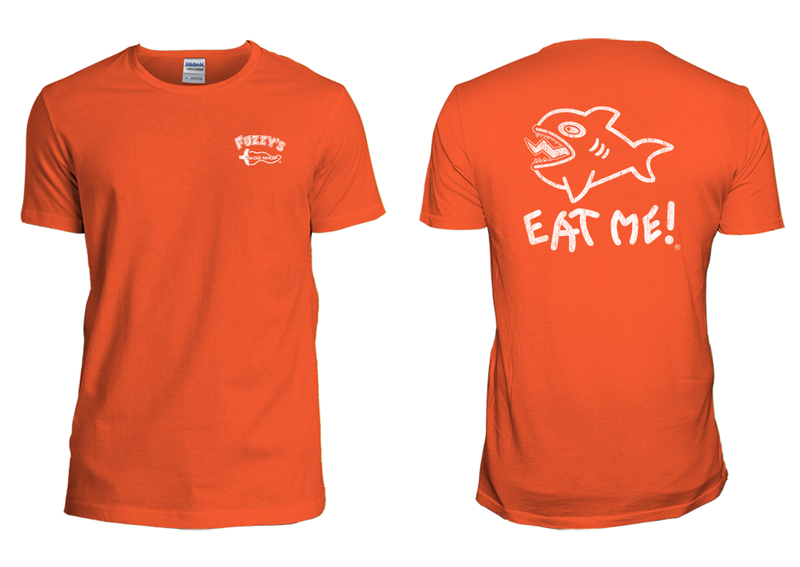 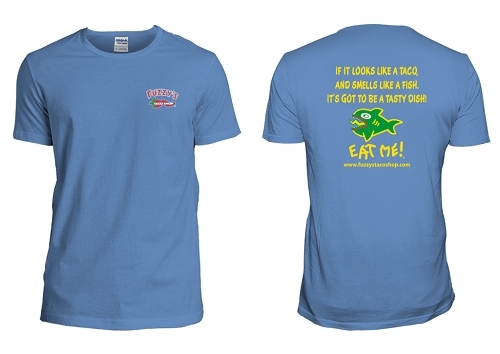 Short sleeve basic cotton tees featuring a giant Eat Me! 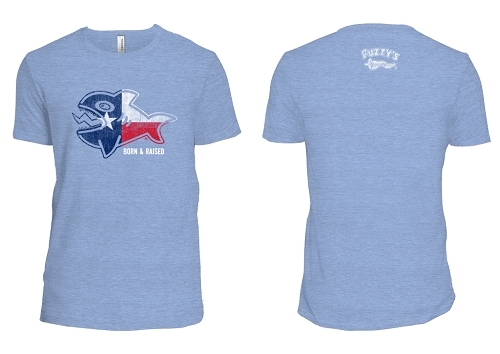 logo on the back and the Fuzzy's Taco Shop pepper logo on the front left chest. 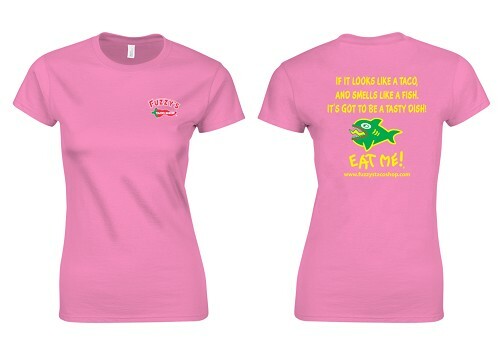 Available in a wide variety of colors and sizes.